I rehung the previously nail laden board that held the lawn tools (although I painted it to match the wall color) and made a "lawn/garden care" area. In the corner is a plastic 3-drawer organizer that holds all the hand tools as well as the fertilizer, sprinkler attachments, hoses etc. Eventually I did hang all the tools, it has only been about a week, but I already LOVE having everything on the wall where I can see it. 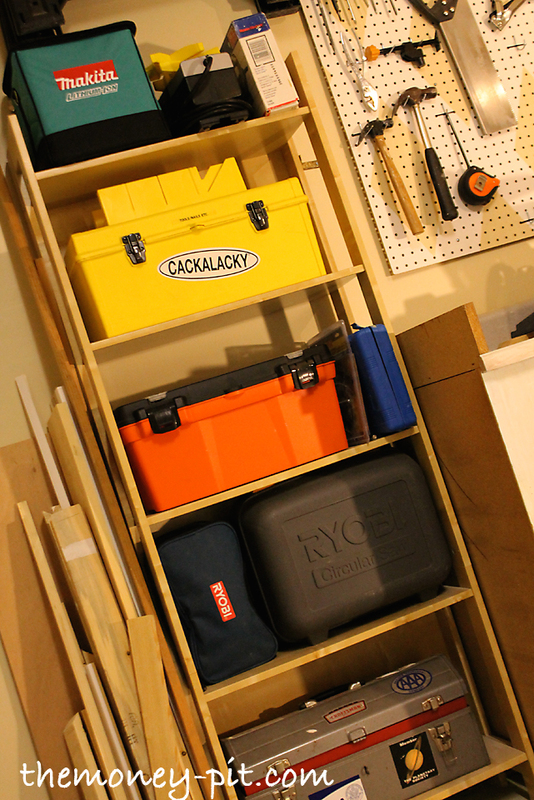 Plus it has taken so much clutter out of my tool boxes. So there you have it. The finished workshop. I couldn't be much happier with it. You continue to inspire me. And I love the painted peg board! I love this! I am super jealous right now. 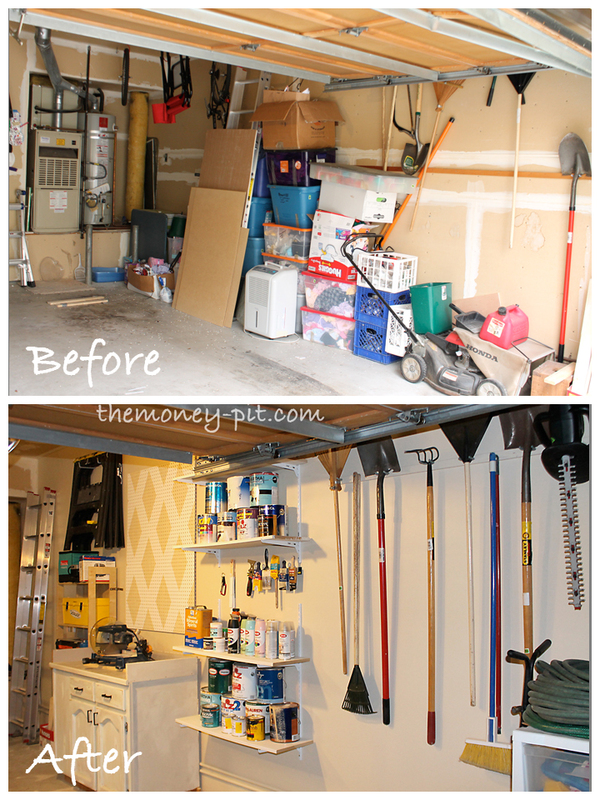 I totally need a garage like this! Would love if you came by to link up to my linky party happening NOW! I would love to see you there! It is a fabulous space! My husband would be totally jealous. organization makes me heart go pitter patter! gorgeous...can a garage be gorgeous? yes, i think so! 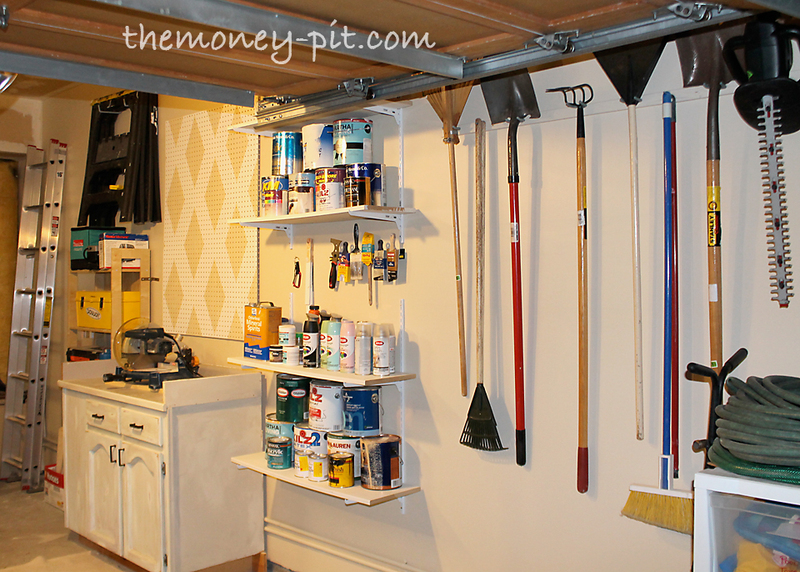 I am seriously jealous of your organized garage! I'm scared I'm going to be buried alive every time I try to get my car out! 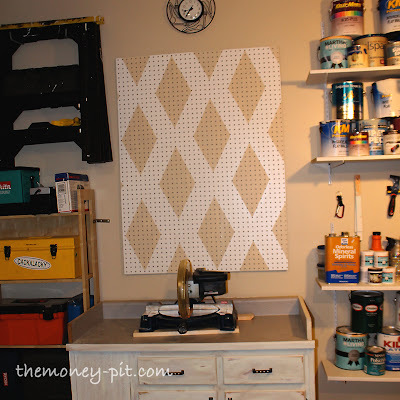 Love the "girly" pegboard especially - why not add a little fun! And the paint opener tip - genius! Linky following. 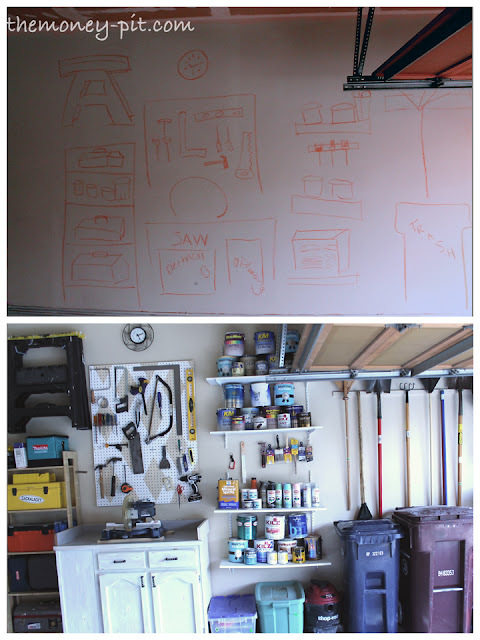 Your garage looks great. I really needed to see this to motivate me to get mine in order. Thanks for sharing your space. Wish my garage looked so nice! 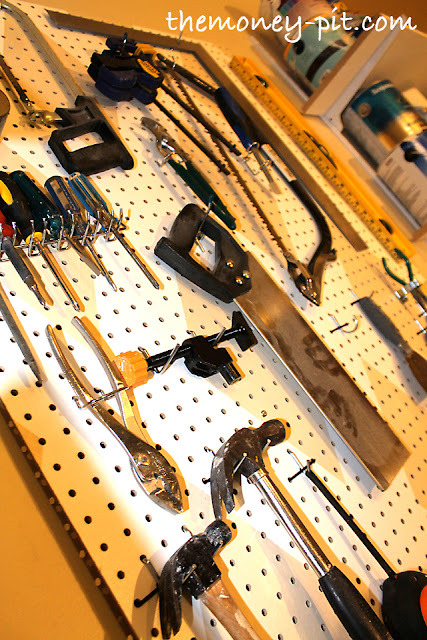 Oh how nice it must be to actually be able to find the tools when you need them. Great job! What a gorgeous re-do! I love how you painted your peg board! You are more than welcomed to come to our garage any time and spruce her up. Yours looks fantastic. Thanks for sharing with the newbie party. oh MAN, wow. How do I get this on my "Honey Do" list??? My garage is pitiful. 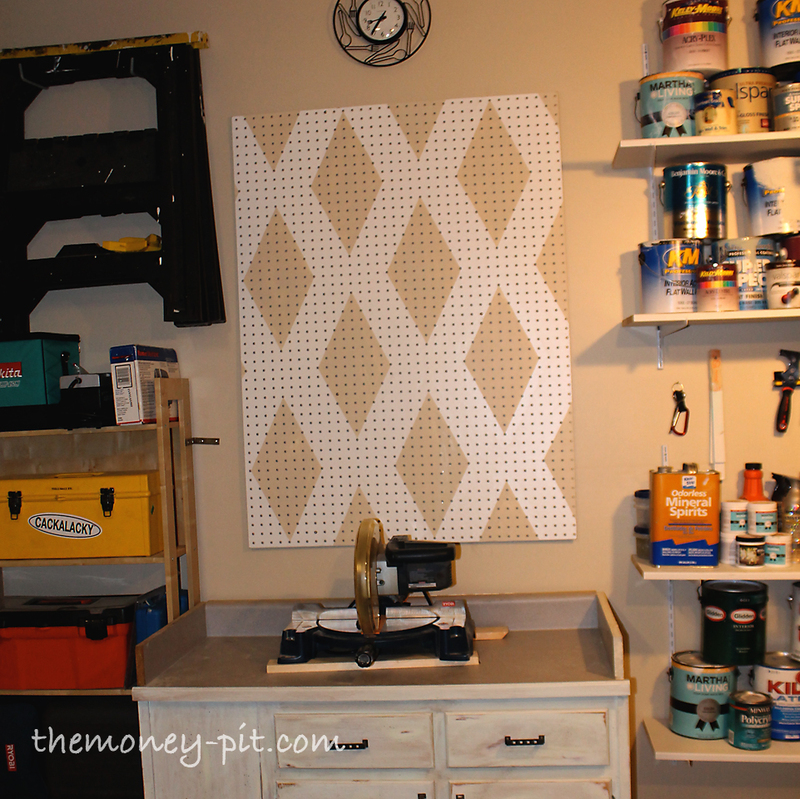 LOVE your painted pegboard, too!! The garage looks great....I just love organized spaces. I walk through my garage every day and despair over the mess. You have inspired me and given me some ideas! Wish my garage looked like that! So organized! Great job! Wow, what a great garage. Good job! Saw you at Debbiedoo's Newbie Party. 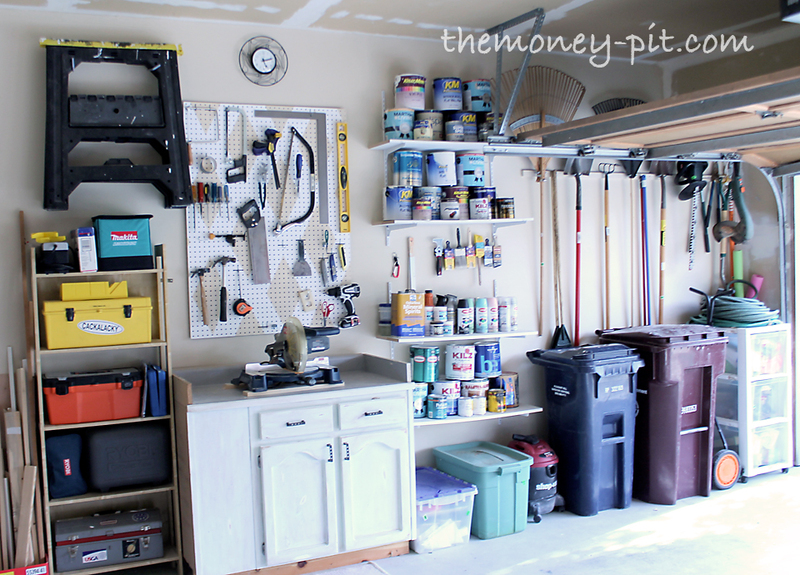 I've got major garage envy! That's on my mile long to do list!!! 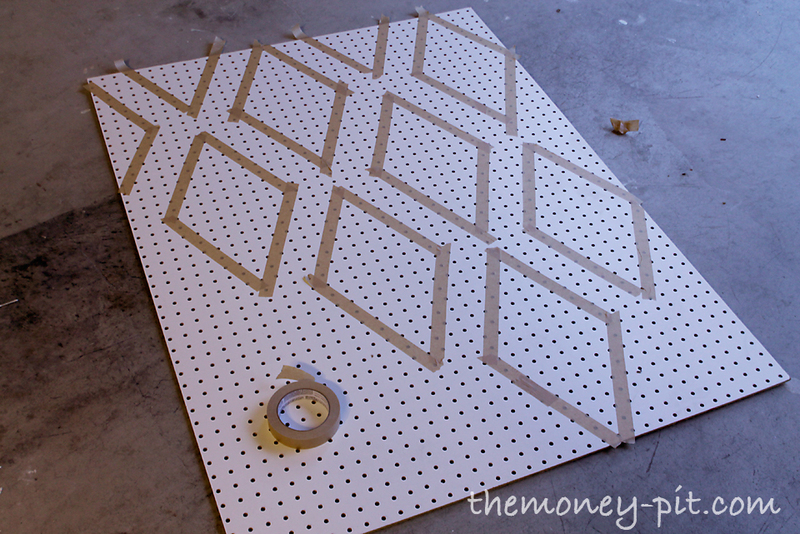 Love the paint treatment on the pegboard! 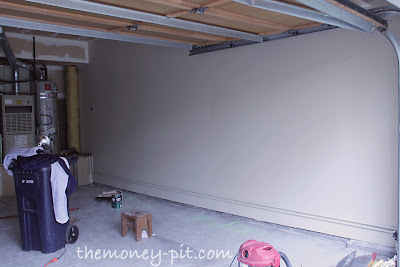 Your garage looks outstanding great job! This is inspiring me to get a move on with ours! I just cleaned my out yesterday, but it looks NOTHING like yours! 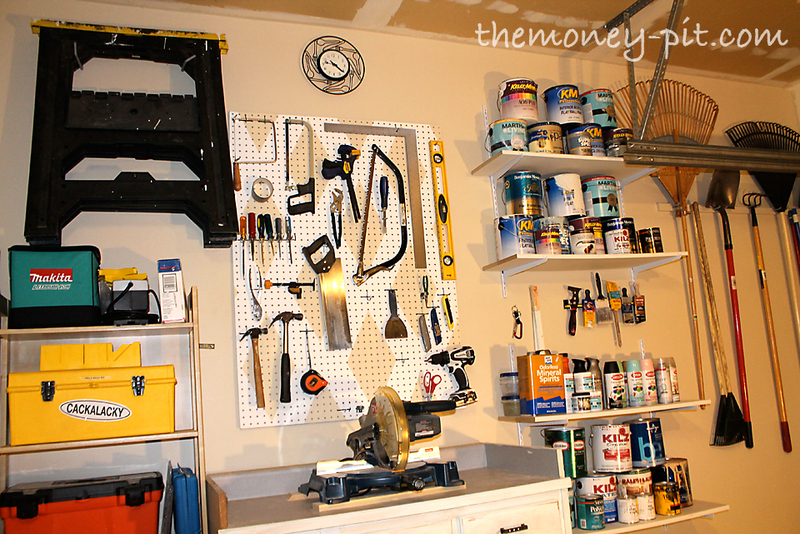 I could totally work in your garage! Great job - I know it is a ton of work! Thanks for linking up this week at my party - please come back this week as I would love to have you there! What a great job at organizing your workspace. 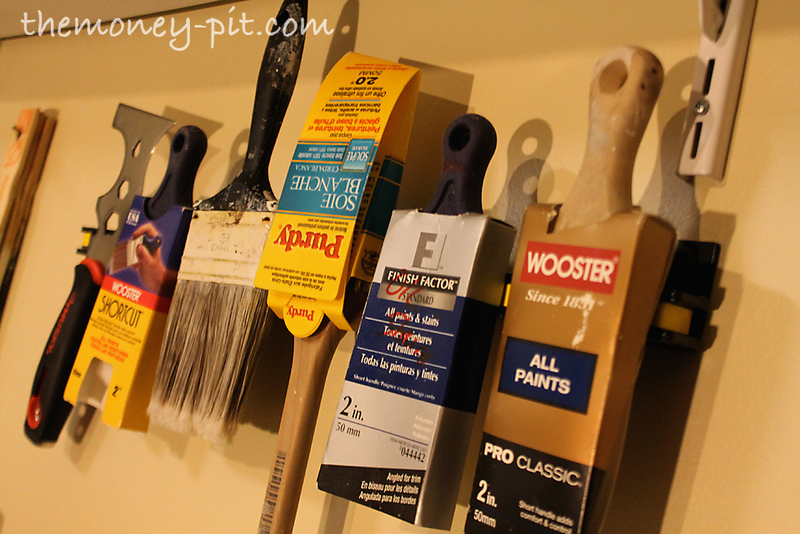 I am loving the painted peg board. 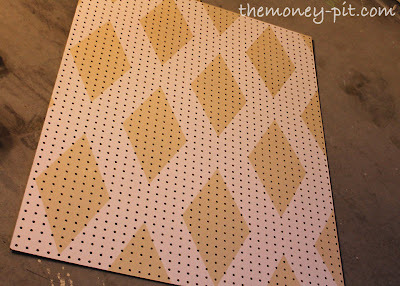 I am thinking about putting some peg board in my closet for jewerly and now I want to paint a design on it. What a great job! Thanks so much for sharing. Thanks for linking to Time Travel Thursday. 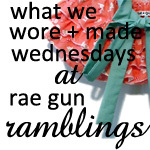 I hope you'll join the fun each week. Be sure to stop by tonight, and see yourself featured. Awesome job! I love the color choice. It looks too pretty to be a garage! 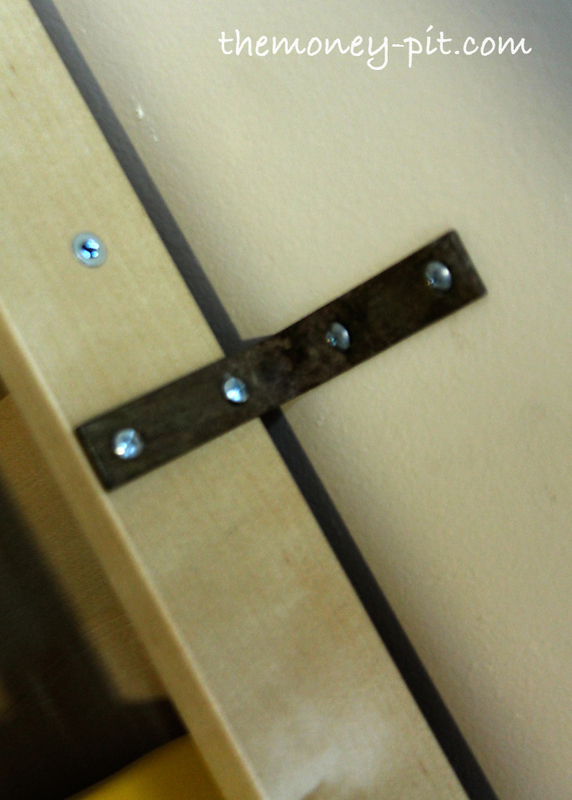 Great job...really liked the artsy peg board! I'd love to have you share it at my party, the Rock N Share, going on now. Seriously, the prettiest garage I have ever seen! Incredible, would love for mine to look half that great! Featuring this on our facebook page today! 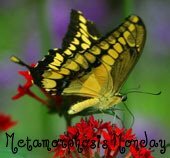 Have a wonderful Saturday and thank you for linking up to Uncommon! What a fabulously organized space! ... because I was not familiar with you or your blog. And then I'm looking thru Debbiedoos newbie party and your thumbnail pops out at me and here I am! Totally, totally awesome!!! Wow! I bet it feels pretty good to work in there now! GREAT job! It turned out GREAT! I am so loving the harlequin peg board, too! Now... you can come do one for me :) Love it! Oh WoW! Kim! That is or-ga-ni-za-tion! Love it! 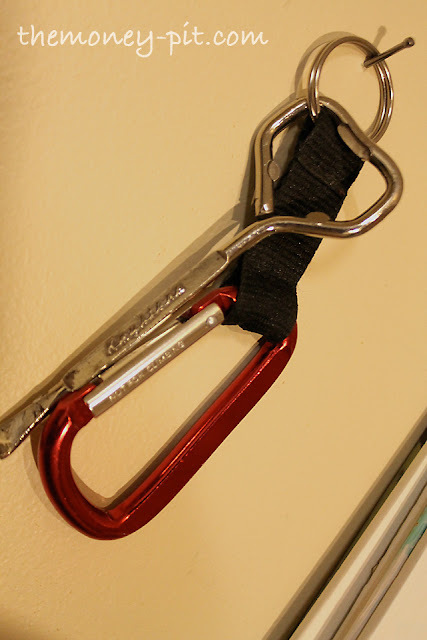 Great tip for the paint can opener, only if I can find it! Just yesterday I was having that problem! I need to do that! 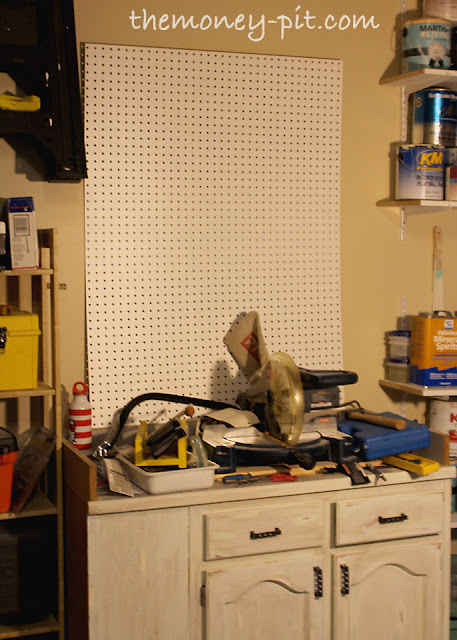 Now, that pegboard is Beauty! 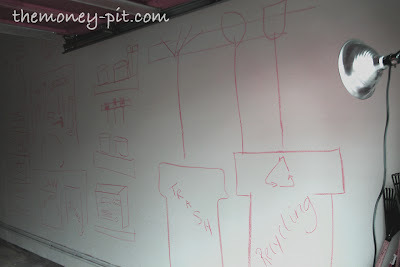 this is truly inspirational and i really learn a lot from your way of thinking --drawing the plan on the wall is seriously genius! I do have a question though--where is your lawn mower? they are so bulky and with the handles so long--awkward to store --plus I have a snow blower too that I have to store all year round--also bulky and awkward with the handles--any suggestions?? Kim. Fabulous job, congrats. 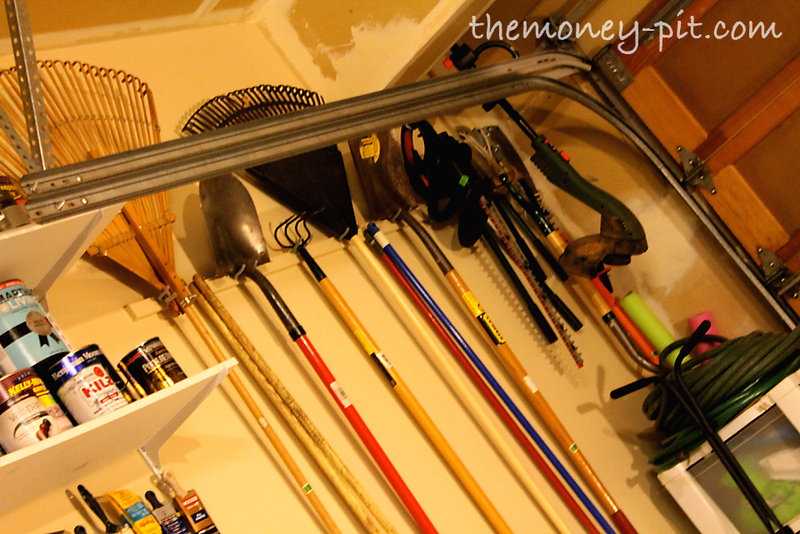 Question: what did you use to hang all the garden implements (rakes, shovels, etc.)? thanks. Yay! Great minds think alike right? 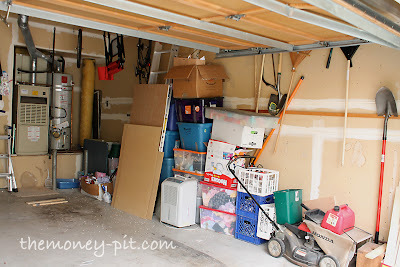 I love how you organized your lawn/garden supplies...thats the next area of the garage I need to tackle. Thanks for stopping by my blog-I'm glad to have found your blog!